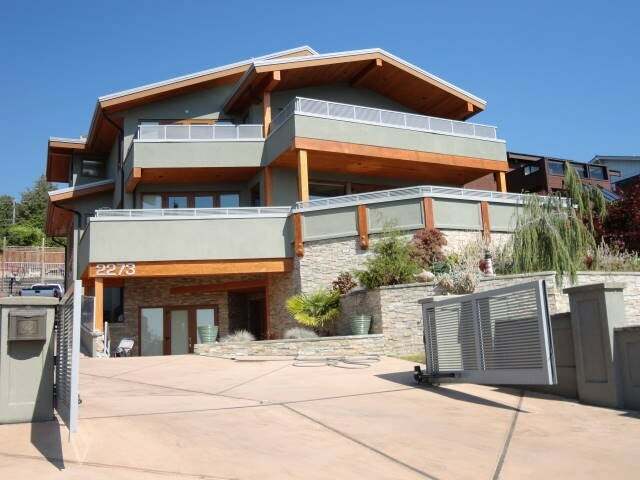 A gorgeous, custom designed home in Dundarave with BIG beautiful ocean views to the South. This residence offers the finest quality & detail on 3 levels including 3 spacious bedrooms up, a fantastic master bedroom with luxurious ensuite, complete with steam shower, private balcony & ocean views. Fabulous gourmet kitchen with granite island and top of the line appliances. Down features a fabulous rec room, media room, 2 bedrooms and potential for in-law/Nanny accommodation. Walking distance to Dundarave Village, the West Vancouver Rec Centre, the seawall, Irwin Park & Ecole Pauline Johnson Elementary & West Van High. This home exudes quality, in both design and features, built to exacting standards. Floor Area 4,309 Sq. Ft.